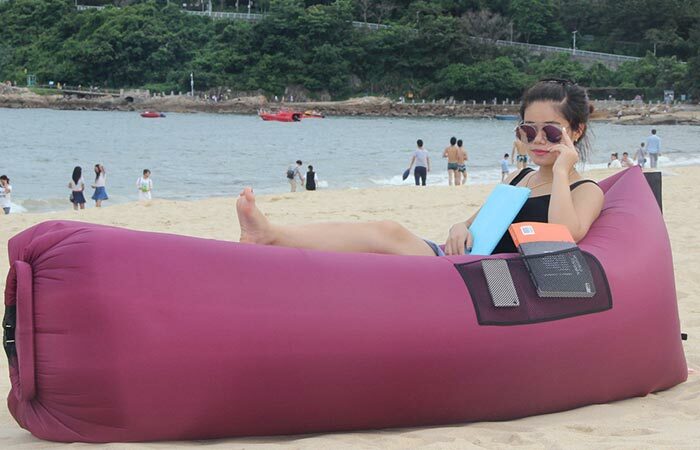 When it comes to inflatable loungers, there is quite the variety available on the market today, but when we see a definite bargain, you the reader needs to know about it. As far as bargains go, the BonClare Inflatable Lounger is definitely up there! Lightweight, easy to use and the ability to let you chill anywhere, the BonClare is definitely the way to go! Super easy to use, the BonClare will have you chilling out like no other. 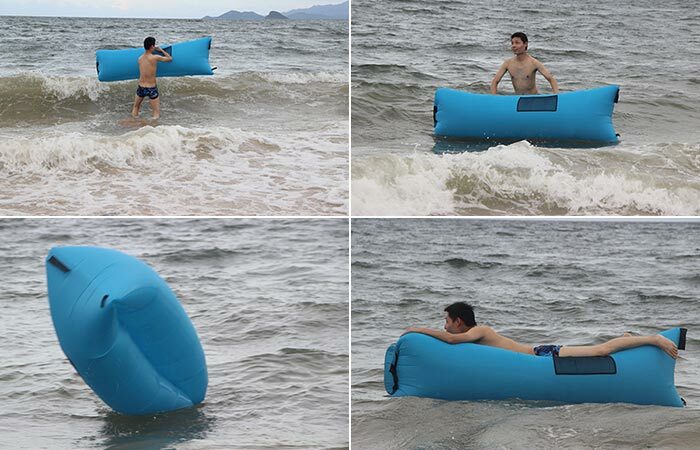 The BonClare inflatable lounger is among the few unique inflatable sofas that can actually be used in water. This not only makes for the perfect seating, but also as an excellent pool float. The entire BonClare sofa is constructed out of the exceptionally durable Nylon Ripstop that has been shown to be so tough that one can even use it on rocks. Since the BonClare is waterproof, it makes an excellent pool float or water accessory. Another impressive aspect of the BonClare is the fact that it only weighs 1.1 kg (2.42 lbs) and measures in at 270 x 70 cm (106” x 27.55”). By being this lightweight, you have the ability to simply sling the supplied carry pouch around your shoulder and go chill anywhere that you please. It’s also perfect for 2 adults since it has a load capacity of 400 lbs. 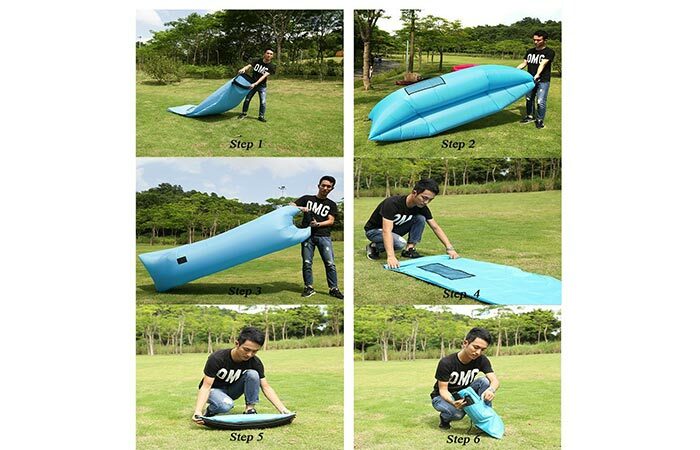 The BonClare is extremely easy to use and can be inflated, used, deflated and packed up in 6 easy steps. To inflate the BonClare is incredibly easy as well since you simply hold open the mouth, scoop it through the air two or three times, roll up the end and then fasten it with the latch. To ensure that you have the optimal comfort and ease, BonClare also features 3 integrated side pockets so that you can store your essentials such as a book, tablet, smartphone or even a water bottle. This inflatable sofa also comes with a satisfaction guaranteed warranty. Get it from Amazon here. Subscribe to Jebiga for a dose of the best in gear, design, rides, tech and adventure.